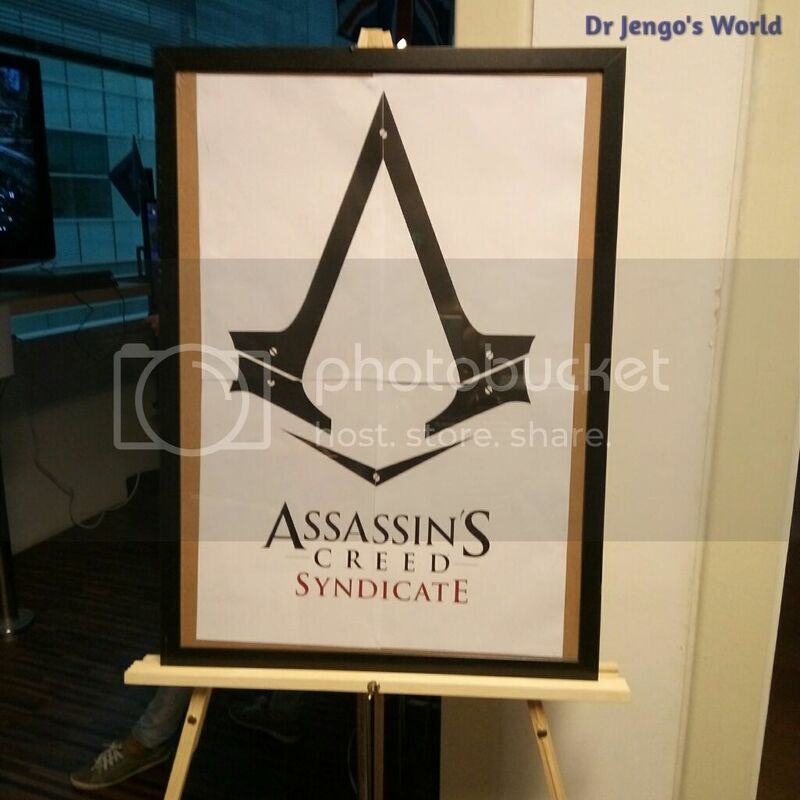 Dr Jengo's World: Ubisoft Singapore's Charity Jam 2015 AC Syndicate Hands-on! 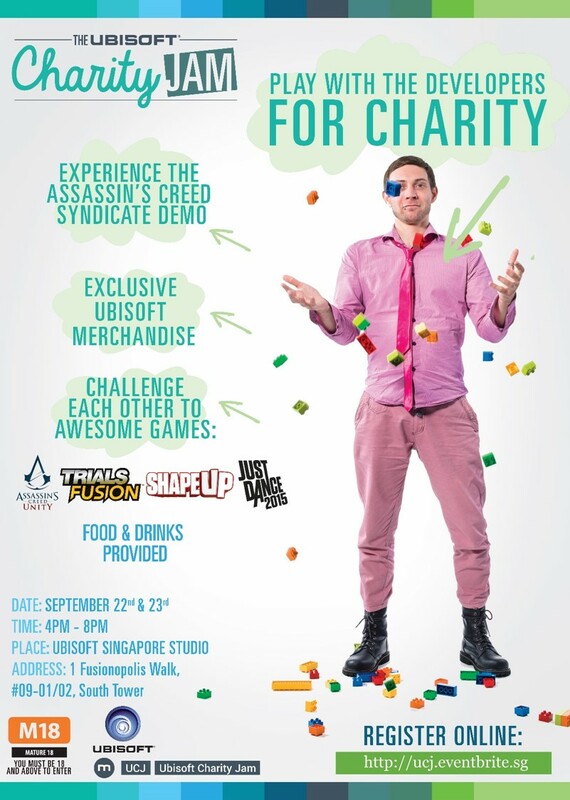 Ubisoft Singapore's Charity Jam 2015 AC Syndicate Hands-on! I had a lot of fun at Ubisoft Singapore's Charity Jam last week., as mentioned in my previous post, but let me share with you about Assassin's Creed Syndicate! Collecting is a huge part of me and this blog but without the games, there isn't any collecting to do. So, yes.. I was excited when Ubisoft Singapore announced that a demo will be available to play at the event. The demo that I got to try is the exact same one as the Gamescom Demo gameplay you see here..
And I was surprised to learn that this mission was developed by a Level Designer from Ubisoft Singapore! (Cool fact of the day!). It was great to see that the gameplay was fluid and the combat is tough, similar to AC Unity. I couldn't jump into a group of guards and counter-kill all of them, like how it was in previous AC games. Throwing knives seem to be weaker. Couldn't do a 1-knife kill even when the guards weren't alerted. Voltaic bombs came in real handy when I did get caught by a large group of guards, but with friendly-fire activated, I had to be careful. Oh and I even tried hijacking a horse-carriage. Since the playable area had a constraint, I couldn't do much though..
Over the course of the 2 days, I tried many different approaches to the assassination. As seen in the demo above, there are 3 approaches to do it but.. I could actually combine 2 or even all 3 approaches for my Assassination! One of the approaches required you to free the constable who will allow you to recruit 4 of his subordinates to rush into the building and fight off the guards.. But. if I had helped the Allied Guard as well, I could have recruited him as well, bringing my total ally count to 5. So yea, I leave it to your imagination and for you to try it for yourself, to see the different combinations that you can do. Having seen Evie's 'Chameleon' ability, prior to the demo, I was concerned if it made things too easy. After trying it out, I noticed that the ability isn't fool proof. For instance, if the guards come too close, they can still spot Evie. The developers also assured me that this ability is only accessible in the later part of the game. Disappointingly, there will be no co-op even with the 2 playable characters. So, I was curious about how the switching between the 2 characters will be like. According to the developers, it will be something similar to GTA V, where certain missions are locked to either one twin. These missions can be done at anytime. So, I could complete certain Evie missions before I did Jacob's. There will be other missions that you can complete with either Evie or Jacob. A bit of freedom here I believe, and Ubisoft would probably be watching the stats to see players' preference of a male/female character. It's evident that Ubisoft teases new features in their AC games before introducing it in a much larger scale in a future AC game. (I'm referring to having a female protagonist n a AC game). Anyway.. I thought the game's looking good. 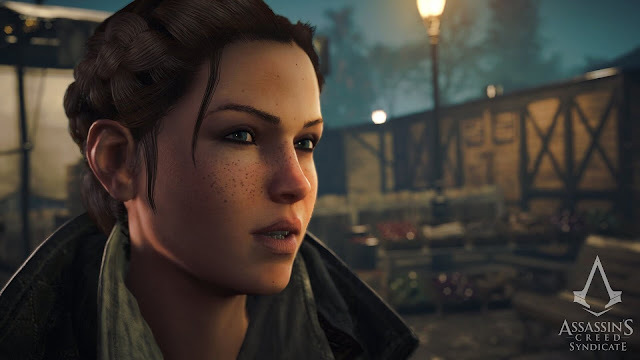 There isn't a whole load of change to the way the AC games feel and play, but I liked the more fluid movement that was in AC Unity, with the free-falling system coming back. However, there looks to be a bit more focus on the character development this time round. Hopefully, we will be able to say the same about the plot once the game releases. A big thanks once again to Ubisoft Singapore and all the developers that made some time to answer our questions and talk about the game in general. So once again, I'm hoping that their doors will be open to the public next year again, with more games to try!